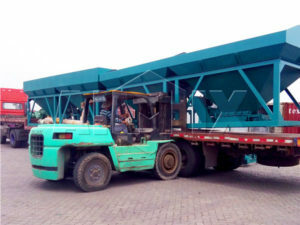 Dry batch concrete plant is like a concrete batching machine, can batch large stone, pebble, sand, cement, fly ash, etc all of raw materials accurately. Compared with general concrete plant, it is very cost-saving. 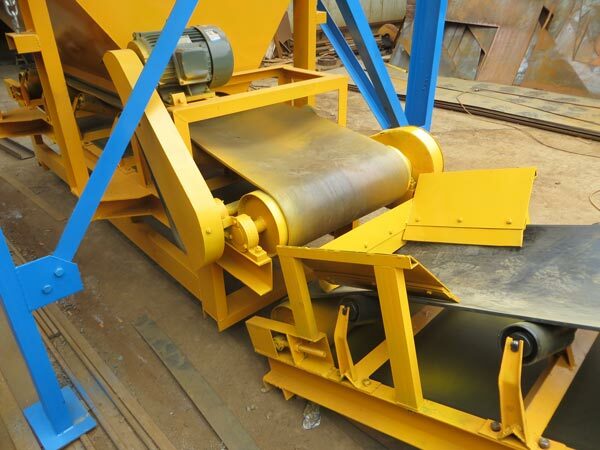 It is composed of concrete batching machine, belt conveyor, waiting warehouse, without a twin shaft concrete mixer. 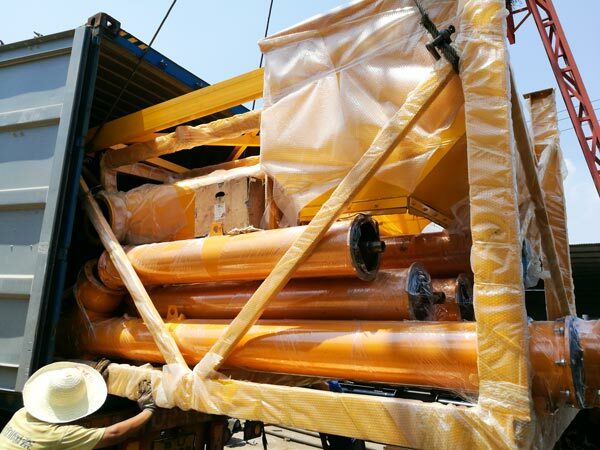 Therefore, concrete produced by dry batching plant has general quality, in addition, there is no water in mixture ratio, that’s to say, this dry mix batching plant only mixes all aggregate and powder materials. 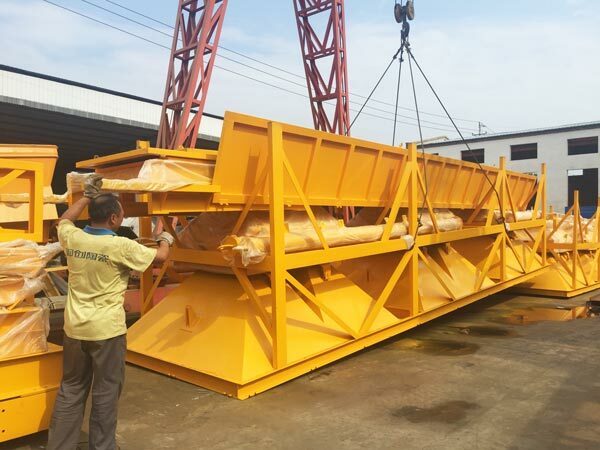 After mixing, discharge system will discharge mixed concrete into concrete transit mixer for sale, then deliver them to construction project, when the discharging, water tank will pour water into concrete mixer drum and mixed with dry concrete, concrete transit mixer will keep rotate along the road. when arrived the construction site, concrete will be mixed successfully. 1. Low cost. 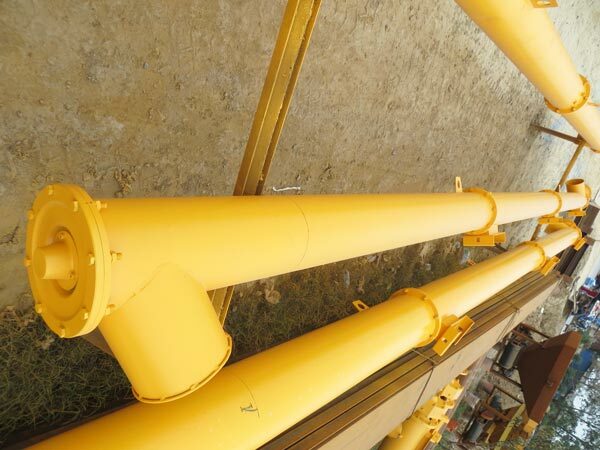 it has no twin shaft concrete mixer and don’t need to build ground foundation. 2. Efficient. 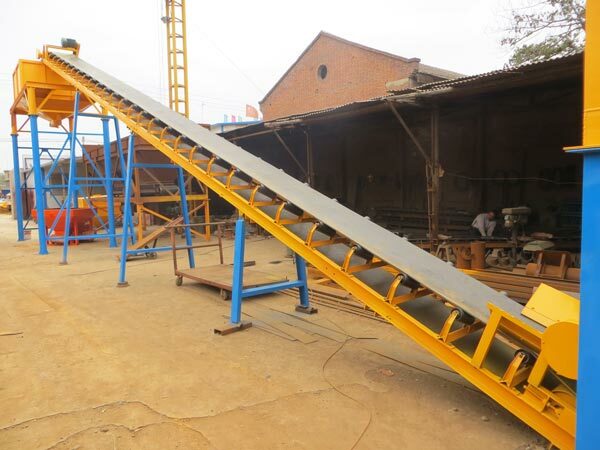 Adopt belt conveyor to feed aggregate, which is very efficient. 3. Save time. 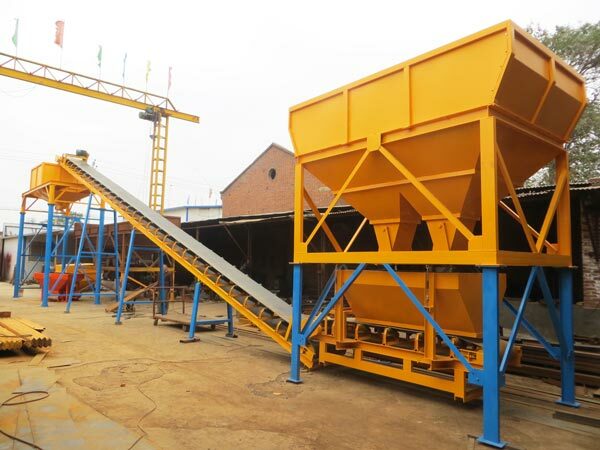 Dry mix concrete batching plant is responsible for batching aggregate, while concrete transit mixer is to mix concrete on the road, which save a lot of time. 1. 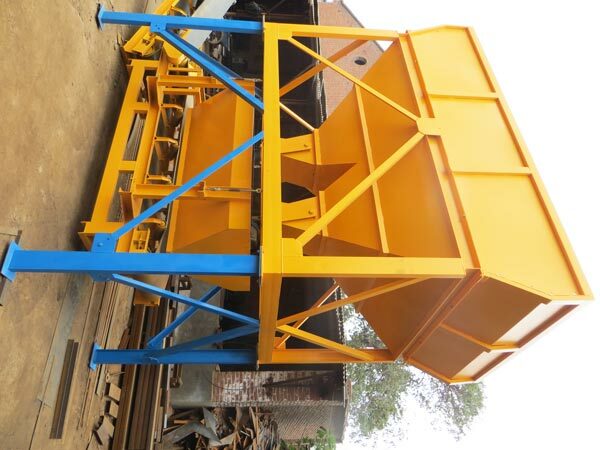 Compare dry concrete batching plants supplied by manufacturers and suppliers, do a research about characteristics of them. 2. 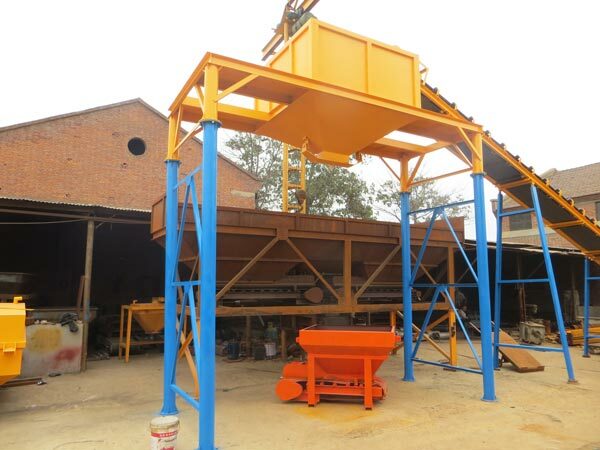 Compare dry concrete batching plant suppliers and manufacturers, from their strength, export cases, numbers of technicians, etc. From these, you will see whether the manufacturer is reliable and professional. 3. Notice the service provided by manufacturers of dry batch concrete plants, particularly after-sales service. 4. Ask them how many old customers they have and how many sets dry batch plant are bought by old customers. 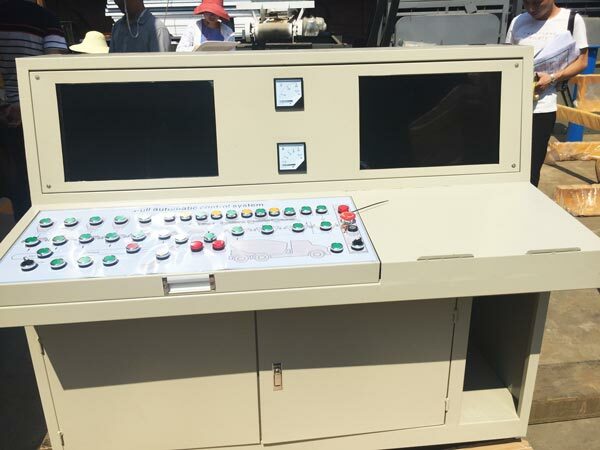 You will know quality of dry batch concrete plant objectively. 1. We can customize dry-batch concrete plants, as long as you leave message on my website, tell us your demands, we will redesign our dry stationary batch plant according to your requirement. 2. 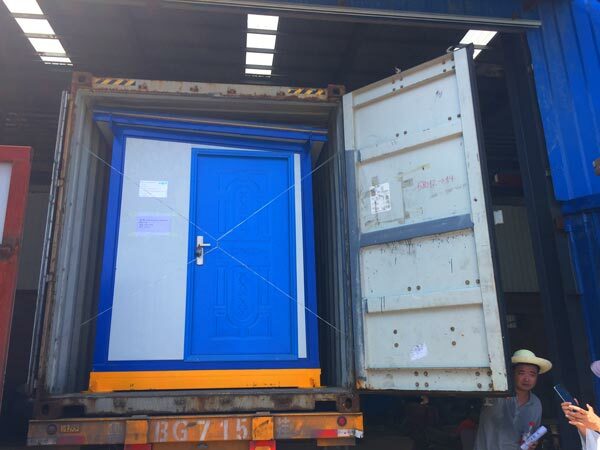 We will adopt container to ship our dry batch concrete plants for sale, we have GP and HQ types containers for your reference. 3. We will send you accurate formula and installation manual, if you have some problems, you can contact us at any time, we will be 24-hour online to remove your troubles. If you don’t know which type dry concrete batch plant for sale is your need, you can tell us your project, we will help you choose right dry-batch concrete plant for you!